Jason Rezaian: It’s great that the U.S. and Iran are talking. Now how about Iran Releases its American prisoners? It’s Great That the U.S. and Iran Are Talking. Now How About Iran Releases Its American Prisoners? Ali Rezaian, brother of Washington Post Tehran Bureau Chief Jason Rezaian, talks about his brother’s imprisonment in Iran while testifying before the House Foreign Affairs Committee on Capitol Hill on June 2, 2015. With his mix of smart political analysis and sense for the voices of ordinary Iranians, Washington Post Tehran Bureau Chief Jason Rezaian’s coverage of the reaction to the new nuclear deal would have been essential reading. Instead he spent the day in a jail cell, one day after a third hearing in the espionage trial that his boss has appropriately described as a “Kafkaesque” nightmare. “I wish Jason was out so he could cover this wonderful story of Iran and the U.S.,” his mother, Mary Rezaian, told ABC News outside Iran’s Revolutionary Court. 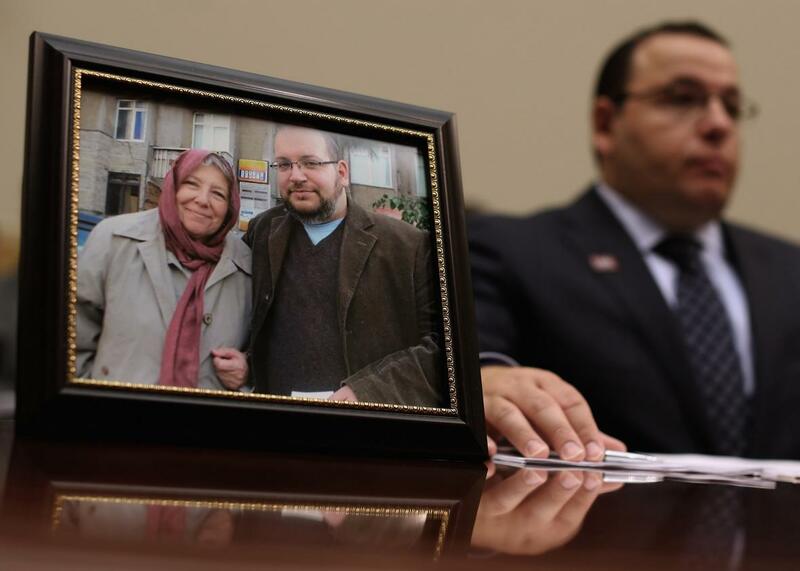 Rezaian has been held for the last 357 days on charges of espionage and spreading propaganda. An unsuccessful 2008 application for a job in the Obama administration has reportedly been used as evidence of his collusion with the U.S. government. His Iranian wife, freelance journalist Yeganeh Salehi, and an unidentified female photojournalist were also arrested and charged along with him, though they were released on bail last year. While the Californian Rezaian is a joint U.S.-Iranian citizen, the Iranian government has recognized only his Iranian citizenship. Rezaian is one of at least three Americans being detained in Iran; Saeed Abedini, a Christian pastor jailed for organizing Bible studies, and Amir Hekmati, a retired Marine accused of spying, are also being held. Former FBI Agent Robert Levinson went missing on Iranian-controlled Kish Island in 2007, though his whereabouts are unknown. Some, including members of Congress, had pushed the Obama administration to make the release of the Americans a condition of the nuclear deal. The White House has resisted linking the two issues, though it has spoken out about the cases repeatedly and Secretary of State John Kerry says American negotiators did raise the issue with their Iranian counterparts. There have also been reports that the spying accusations against Rezaian may have been part of an effort by hard-liners in the Iranian government to discredit President Hassan Rouhani’s administration in the midst of sensitive and controversial negotiations with the West. Foreign Minister Javad Zarif has said that he hopes Rezaian will be released, though the country’s leaders don’t appear to have done much to make that happen. After the historic agreement, we’re entering a very rare period of good feelings between the U.S. and Iran. President Obama called the deal “an opportunity to move in a new direction,” while Zarif said it will bring down “walls of mistrust.” The deal obviously won’t resolve all outstanding issues, but the fact that officials from both countries are now able to sit in a room together and talk about issues of mutual concern is a positive step. Hopefully, the Americans being held on trumped-up charges in Iran are next on the agenda.